So light its like there’s nothing there! 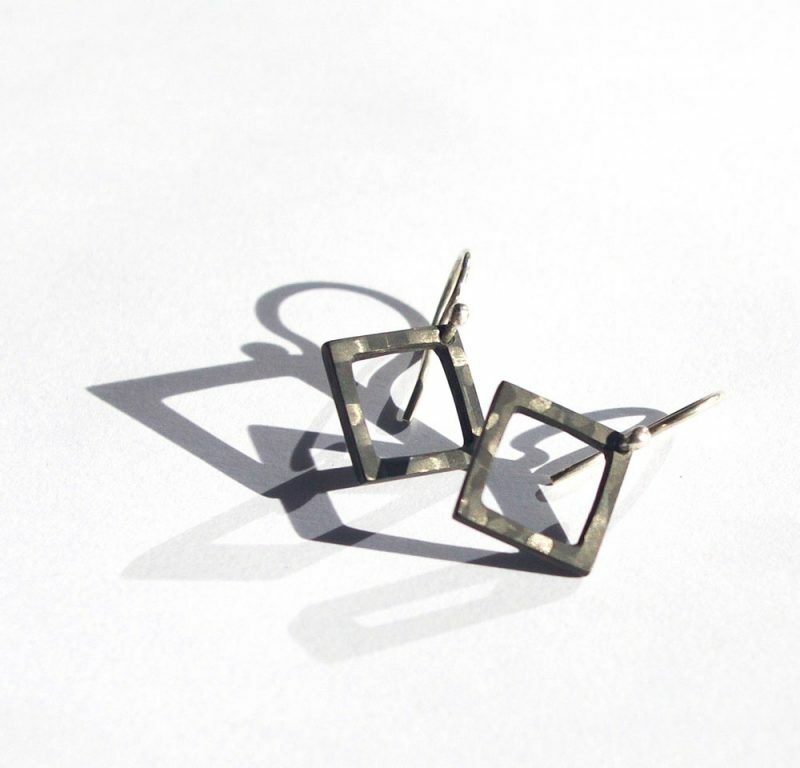 This small square earring looks strong, but feels light. Carbon fiber is an extremely strong, thin fiber consisting of long, chainlike molecules of pure carbon. Carbon fibers are used in high quality cars, boats, bicycles, planes and most notably in Formula One racecars. We’re not scientists, but this stuff is incredible! Carbon fiber is well know for its use in the high performance yachting world and in numerous other high-tech applications. Diana “Dini” Hall was introduced to carbon fiber at her father’s business producing carbon spars for racing yachts; most notably the newest America’s Cup yachts. 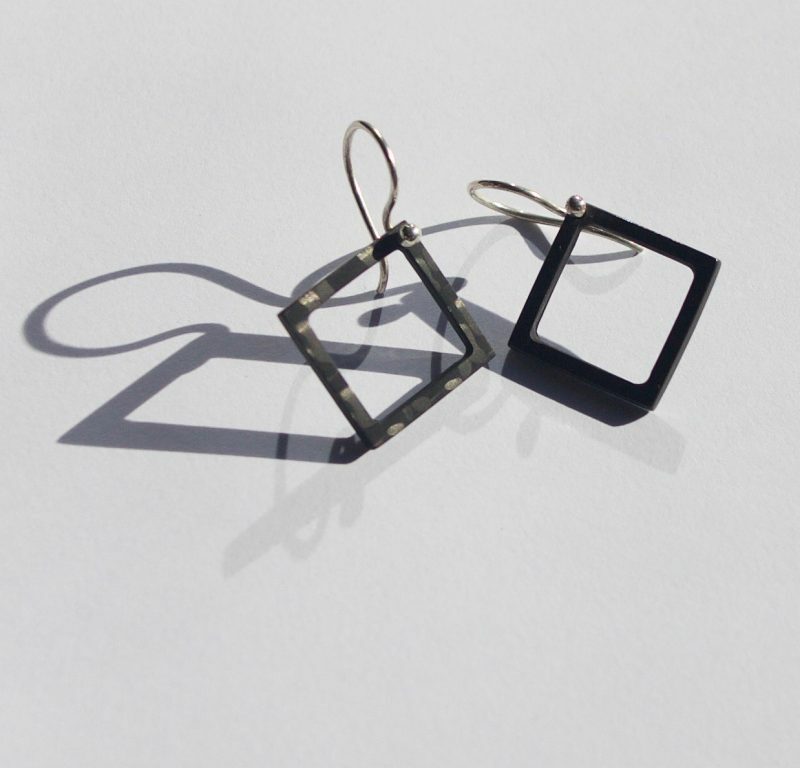 After receiving her BFA in Jewelry and Metalsmithing at RISD it was only a matter of time before her creativity and technical skill would converge to produce her carbon fiber jewelry.